I expected to see a lot of Blazer decks at the event since 3 of my friends and playtesting partners were bringing blazer decks to the event. I wanted a ruler that provided a relevant and powerful effect on their ruler side and did not require to J-activate to be good. From the beginning of testing, it was obvious how powerful of a regalia Artemis, the God’s Bow was. I figured that playing the ruler that maximized the bow’s power would be a good choice. In a meta where Blazer punishes you for J-activating and is a very popular ruler, I utilized a deck with Arla as the ruler and was not dependent on her flipping. Since I was main decking the 4 bows, I ran these to help improve my chances of finding these regalia. Though there are not a lot of targets for Perceval to hit, they dig very well. Just to get an idea of how effective Perceval is, playing one turn one with you on the play lets you see the 5 cards in your opening hand and the next 5 cards of the deck. That’s a 25% of the deck! Even if you cast Perceval and fail to find a valid target, the impacts of this are minimal. This card was honestly one of the weakest cards in the deck, however she was still very strong. She provides a recursive body that can chump block constantly and combos very well with Cinderella. She is a strong combo piece and provides a sac outlet for Mozart and can sweep your opponent’s field of smaller resonators. With Rasputin, she can even take down larger resonators. She also provides a decently sized body to put some early pressure on the opponent. This card is amazing. It blocks profitably, it attacks well, and I think this card is one of the best 2 drops in the game. This is one of the main reasons I wanted to play a dark deck in the first place and recommend it if you’re playing darkness. The MVP of the deck, this card did so much work it was crazy. For those of you who play magic, this is very similar to Siege Rhino in power level. For three will, it enters the battlefield your opponent loses 400 life and you gain 400 life. It also provides a solid 700/700 body. It can block and trade with most threats and attacks very well. As a midrange deck this is that important “pivot” card that helps shifts the deck from early game stabilization to closing the game out in the mid to late game. 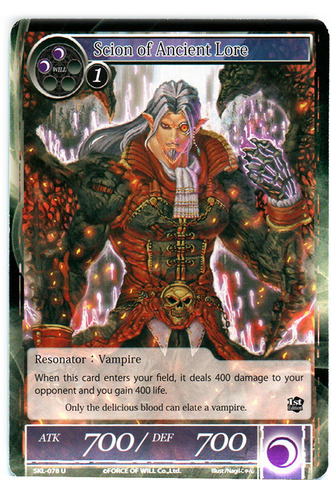 It also helps after siding into Vlad Tepes to drain the opponent and applying pressure which is very good. The primary reason I wanted to play black/white. When I was testing I originally has this as a 4 of because it turns all the 1 for 1 spells to become 2 for 1 spells which I thought was insane. Plus, having 2 or more Seths in play usually spells disaster for your opponent. This card also enables a resonator lockdown in combination with Cinderella and Mozart. 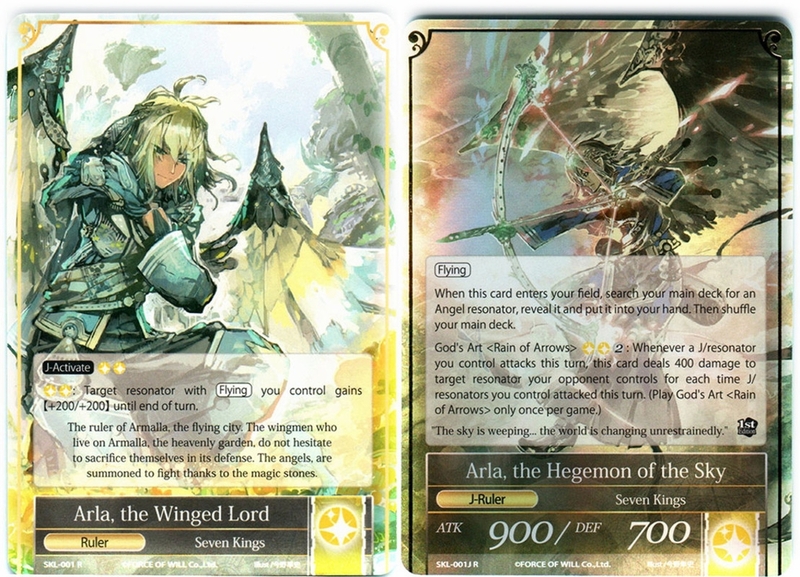 With these three cards, you can keep your opponent from keeping any resonators on the field at all times which can be debilitating for some decks to recover from. As good as this card is, I ultimately cut one to add a fourth Scion to the deck. Seth does not do much by himself and I found myself never wanting to play him before turn 5. I always wanted to play him then immediately cast a spell like stoning or spiral to take advantage of his abilities. Once Seth is on the field for a few turns he really takes over the game providing huge amounts of recursion and is great late game. Thoughtsieze on a big body is really good. 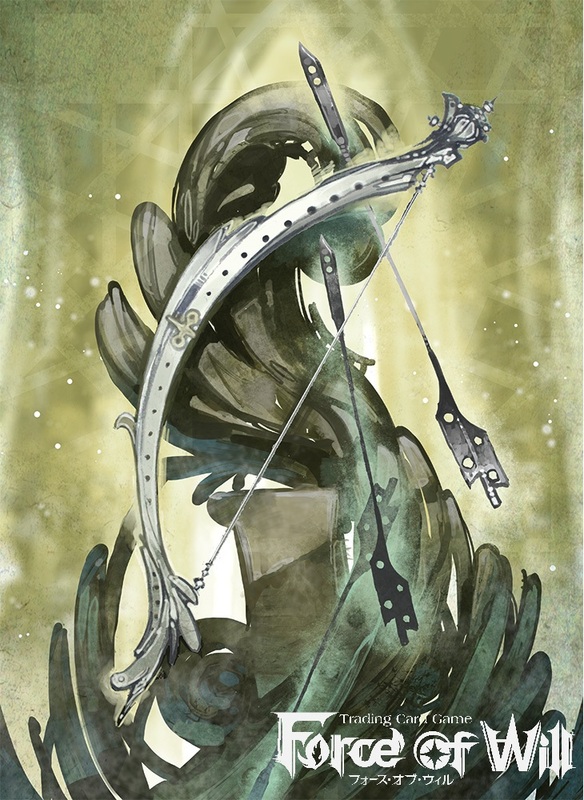 As with most resonators in the deck she provides immediate value when she is played. 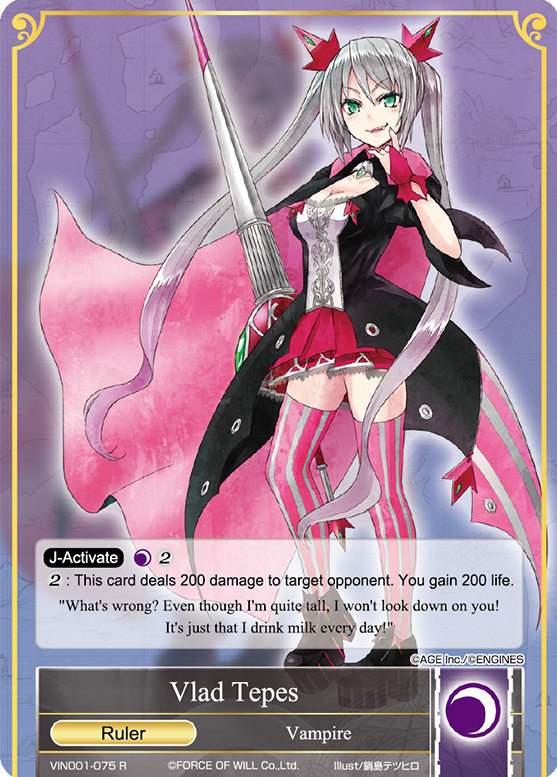 She provides valuable information about your opponent’s hand and allows you to remove the best card from it. She is also able to be cheated in with incarnate but this deck has a little bit of trouble pulling that off consistently, as a decent portion of the cheap resonators in the deck are light. Even with having to pay her full cost most times, she is very good and a very powerful card. He is big, he buffs your guys, he usually weakens your opponent’s guys, and he has built in recursion. What’s not to love about this guy? He works great with soulhunt and provides an excellent finisher against everyone but other darkness decks. Why play Arla? Because 4 counters is amazing. This card is so strong it doesn’t seem fair. It provides cheap and repeatable removal and in multiples is extremely hard to break through. It makes the aggressive resonator matchups highly favorable as it is very tough to fight through all the removal this card provides. While many feel the bow is lackluster compared to the other regalia, I feel this deck would not have worked out as well without this card. I’ll be honest I wasn’t sold on this at first. It is a very tricky card to play effectively and get the full value off of it. It took a while before I figured out how to use this card correctly, but I have to say when used right, it is very good. For example, in one of my Top 8 rounds, I had 2 bows in play, no resonators on the field, and a Perceval in hand, along with several other cards. I knew the Perceval would most likely not hit another bow, so it was not favorable to cast it. I used the Perceval as the discard part of Soulhunt’s casting. Soulhunt resolving not only got a dead card out of my hand, but also removed a card from my opponents hand as well as had them sacrifice one of their resonators. Soulhunt can be a 2 for 1 in the right situation and the extra cheap removal is very nice. It kills everything but rulers at instant speed for cheap. Great removal spell. Play 4 in the deck. They are essential. Good on the play and amazing on turns 2 and 3 but not as good on the draw. It is very helpful against control decks but lackluster against aggressive decks past turn 4. Another unconditional removal spell that also kills all the small resonators. I liked it but at 3 will to cast I wouldn’t run more than 2 of them. Pretty basic stone base. I ran 4 B/W dual stones to get the white while also providing black and the Little Red helps make our guys better in combat. The rest need to tap for black as you want double black on turn 2 to cast Stoning to death on the potential Lancelot. This is my anti-ruler package. I bring it in against 28 regalia and any other deck that heavily relies on their ruler J-activating. One of the big weaknesses of the main deck is that it has trouble in the very long games against control. The game one match up is definitely not in our favor as their card advantage is a bit better and our clock is not very quick. Vlad turns the deck into a late game powerhouse giving us an effective way to pressure our opponent and keep mana open to deal with threats as the game progresses. I originally has 2 in the board but never found myself wanting to play 4 spirals against any opponent so I cut this back to one. Spiral helps in the longer games against control decks by helping reduce the number of cards they are able to use. A large beater with built in protection all at a fairly cheap price. I bring them in against control as more threats that are a pain to deal with. They can be helpful in walling other large resonators like Blazer or rulers like Jeanne d’Arc. They are not particularly helpful in the aggro matchup so I feel they are better as a sideboard card than in the mainboard. They are useful for dealing with opponent’s regalia but the main reason I used them was as more threats against the slower decks especially Blazer Cthulhu. 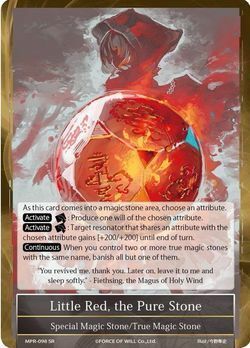 They act similarly to man-lands in magic as solid beaters that are hard to deal with as they dodge chant speed removal like Hastur and Carmilla. As good as the removal in the deck is, 1 for 1ing all your opponents threats just isn’t very possible against opponents like Blazer Knights or Grimm. They go wider much faster than you can effectively remove all their threats which is why this card is so good. These aggressive resonator decks run mostly converted mana cost 2 or less resonators so this basically acts as a board sweeper. Our bows and spot removal can take out any of their remaining guys, plus its instant speed which is pretty silly. I think 4 might be a bit of overkill, as usually resolving just one of them is good enough to close out games, but I expected to see a lot of Blazer Knights and I wanted to really be sure I could bury them in removal. I’m most likely cutting this down to 3 moving forward. I was a bit bummed to play one of the guys I rode to the event with especially round 1, but alas we had to play and I ended up beating him game 3. He won game one as I ran out of steam and I Vladed him to death game two with a finishing life total of 5200. We ran out of time game three and drew. Game 1 I had 3 bows by turn 4. Game 2 he cast Blazer turn 5 and I ran out of removal. Game 3 I had 2 bows turn one and an early Scion beat down most of the game. This version played multiple Gareths but a combination of multiple bows and spot removal helped me to close out games 1 and 3. It was a B/R Cthulhu deck but it splashed white for Seth. He locked me out game 1 with 2 Seths in play. Game 2 was close but he wasn’t able to bring me low enough before I drained him with Vlad. Game 3 I had mostly on lockdown with a life total of 6000 until he played a Yog-Sothoth then a Susano next turn hitting me for 2700 in one turn. It was a great comeback but unfortunately he was low enough that I killed him with Vlad when I recovered next turn. I had 2 bows in play on my first turn both games which is really tough for the knights to get through. I Dark Pulsed him game two wiping his field. His health was too low to cast the 2 Split Heaven and Earth in his hand to kill me as he would take lethal from his own split and I would survive. This deck was awesome. It played Cheshire Cats and Lancelots which is a sweet combination in my book. Our game 1 was close but I managed to pull ahead thanks to Scion (this card did so much work!!!). Game 2 he sided into nameless girl and J-activated turn 2 and I stumbled to slow him down. I managed to stabilize turn 5 with a Mephistopheles walling his Jeanne d’Arc but I was at 200 and he top decked an Alice’s Little Assault Force and we went to game 3. This game was close but ultimately I pulled a victory with Scion and moved on to the finals. I was happy to hear my last opponent was a friend of mine and part of my playtesting group. He was playing a B/R Cthulhu deck that was very strong and the matchup was very close between our decks. Ultimately he won in game 3 and won the event. This deck was a blast to play and is very powerful. With almost every card giving some value immediately, the deck top decks very well. I really enjoyed Arla as my main ruler and she proved to be very powerful. I had a great time at the ARG and look forward to playing more events as season 2 continues. I hope you enjoyed reading about the deck and my experience at the event! Were there any games where you Jactivated? So, it’s been roughly a week after the event; looking back, is there anything you’d change about the main deck? Adding/subtracting cards, changing the number of any cards, etc?